Explore Munich’s signature landmarks with a private guide. 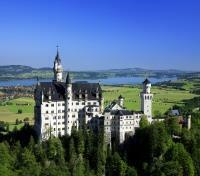 Take in the incredible view from Neuschwanstein Castle on a guided tour. Step into your favorite scenes from The Sound of Music and walk in Mozart’s footsteps in Salzburg. Amble through the hundreds of ornate rooms at Vienna’s Schönbrunn Palace. Breathtaking mountains draped under a cloak of thick forest and sprinkled with storybook castles. Elegant cities tailor-made for strolling. Every architectural movement you can think of, all blended together in a seamless tapestry of style. These are just a few of the sights you’ll encounter on this exhilarating journey across German Bavarian and gorgeous Austria. 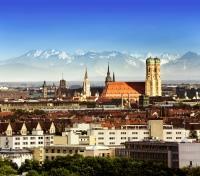 Enjoy a private transfer between Munich Airport and your hotel will be provided upon arrival. For your added comfort, an English speaking assistant will be waiting for you at the hotel lobby. Your representative will help you to check in and walk you through the welcome package documents, your itinerary and answer your questions. 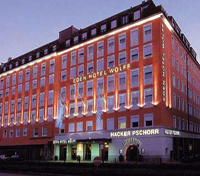 Founded in 1890, Eden Hotel Wolff is one of the leading properties in Munich. The hotel is conveniently located in the city center, opposite to the main train station and is within walking distance to all of central Munich's exciting sights and shopping areas. Offering a variety of uniquely designed guestrooms whose flair and cozy elegance allow you to relax after a busy day, a modern but elegant atmosphere prevails. All guestrooms include air conditioning, complimentary Wi Fi access, and a flat screen television. For an excellent dining experience, head to Peter & Wolff Restaurant - found on-site - where you can enjoy seasonal dishes prepared using the freshest local produce. Explore the beautiful city of Munich by taking in sights such the National Theater with the Royal Palace, the Palace of Nymphenburg and Marienplatz – the most historic and most scenic square of Munich’s old town, in a private chauffeured vehicle with a driver-guide. You will visit the Viktualienmarkt Beer Garden, located only two minutes away from Marienplatz to get a taste of the Bavarian beer culture. This is the perfect place to relax and enjoy great beer while contemplating at all the amazing sights you have seen on this tour. Beer and snack are included. In the midst of the German Alps, the magnificent towers of Neuschwanstein Castle rise in all their majestic splendour – it is simply breathtaking. Set in one of the world’s most beautiful locations, the castle overlooks the idyllic 700 year old, medieval village of Füssen. The panoramic view from the Marienbruecke (the bridge high above the castle and gorge) is spectacular with unspoiled natural lakes and valleys stretching far into the distant horizon. Linderhof Palace, located near Oberammergau in southwest Bavaria near Ettal Abbey, is the smallest of the three castles built by King Ludwig II of Bavaria and the only one of which he lived to see its completion. The Palace and its surrounding park is one of the most artistic and stylistically complex ensembles of the 19th century. Entrance fees are to be paid locally. Enjoy a private transfer between your hotel and the train station in Munich alongside a professional driver. Settle in for a transfer by train from Munich to Salzburg. Approximate travel time is two hours. Transfer from the train station to your hotel with private vehicle and English speaking assistant. For your added comfort, your assistant will help you to check in to your hotel and walk you through the welcome package documents, your itinerary and answer your questions. 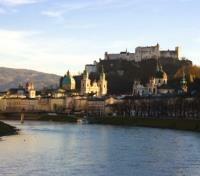 Discover the wonders of Salzburg during a half day private tour of the city. Salzburg, known as the town of Mozart, features historical buildings and impressive architectural attributes. The city is the birthplace and hometown of Wolfgang Mozart, and some say that you can still hear the tones of the musical 'The Magical Flute' and the 'Sound of Music' from they alleyways and historic walls. Your professional guide will provide with insight into the Gothic, Renaissance and Baroque features of the city as Mozart saw it. You will end the tour with a visit to the newly reopened Mozart Residence on Makart Square. Before Mozart moved in, the lodging was inhabited by a dancing master that educated youngsters on how to dance and behave. The residence was formerly referred to as “the dancing master’s house” (Tanzmeisterhause). Here, you will have the opportunity to see an informative multi-media show. Staying at the Auersperg Hotel means being surrounded by the special atmosphere from the very first moment onwards exuded by this unique hotel which was erected in 1900 with a love for detail. Antiques are stylishly combined with elements of modern design. Here, somewhat apart from the tourist streams, at the end of the pedestrian zone Linzergasse, where many people live and go to work daily, the city shows you its liveliest and perhaps most authentic face. The hotel fits harmoniously into this metropolitan landscape. In only a few minutes on foot you can easily reach the old city and all its most important sights. 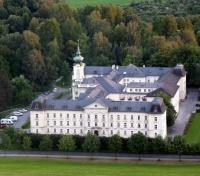 Today, you will be led by an English-speaking guide on a 4-hour Sound of Music tour. You will take a ride through the breathtaking landscapes where the opening scenes of the musical were shot. Relax and listen to the original Sound of Music soundtrack. The professional guide will show you the highlights of the film, as well as, the historical and architectural landmarks of the city. 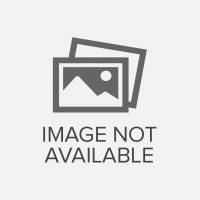 Furthermore, you will get the chance to enjoy the picturesque lake district. Highlights of the tour include the Mirabell Gardens, Leopoldskron Castle, Hellbrunn Castle, Nonnberg Abbey, St. Gilgen, Lake St. Wolfgang and the Wedding Church Mondsee. Enjoy a scenic train station transfer with a private vehicle and professional driver. Settle in and transfer by train from Salzburg to Vienna. Travel time is approximately 2.5 hours. Transfer from the train station to your hotel with a private vehicle and professional driver. 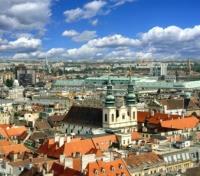 Spend an enjoyable 4 hours with a private tour guide, driver, and vehicle, exploring the city of Vienna. This tour will provide you with an overall impression of the most significant sights of the city. Along the Ringstrasse, admire numerous magnificent buildings, such as the MAK, the State Opera House, the Museum of Fine Arts, the Natural History Museum, the cultural district the Museums Quartier, the former Habsburg winter residence, the Hofburg, the Parliament, City Hall and the Burgtheater. 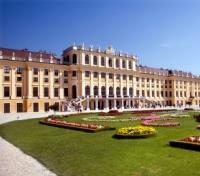 The highlight of the tour will be a visit to the showrooms of Schonbrunn Palace, the former summer residence of the Habsburg family. The entrance fee to the Schonbrunn Palace is included. Enjoy a scenic transfer from the airport to your hotel or city with a private vehicle and professional driver.